The focus of this article is to let the readers know how Innovations from Microsoft are always high in delivering for the clients. 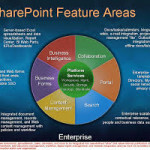 Share Point (SP) 2010 is one among them that collaborates as a successor of Share Point 2007 through its set of rich features integrated. These integrated features are very much collaborative while working in a group in a new and effective way. SP 2010 aimed for developing corporate portals and has greater ability to integrate with the other systems. Richer Search and more interactive Share Information for decision-making. Ribbon Interface: Rich User Interface for editing and branding. Better site provision for quick development: It provides better tool for an easy use by the people for any kind of website, additionally it is well equipped to simplify the site management. It is much like MS Office in look and feel. Better document management and consistency with Versions and libraries with integrated MS Office products. Web Parts: one can customise the portal of his kind. Keep track on your own content while accessing dashboards called ‘My Sites’ and Generating Reports in your own format, lock them for further changes only by you. Social collaboration Environment with Facebook and twitter as these social media are moving into work place, also the blogs and wiki are easily shared. It has automated Email and SMS alert. Business Intelligence: Analysing Data in SP with the use of Excel and making the key performance reports widely accessible to the managers helping you make the decisions. SP 2010 aimed for developing corporate portals and has greater ability to integrate with the other systems. 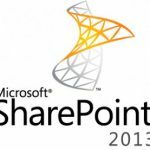 There is a huge growing out there for MS SP with the release of MS Share Point 2010; it acquired 53% of the intranet portal space which indeed became as a platform for Business development and social media collaboration. If you think you mastered ASP.NET then Share Point would be a niche considering yourself ‘A Creative Management Business Flair’. The 2010 versions are SP Foundation 2010, free, and SP Server 2010 (Enterprise version) which is a paid version. Get trained on Share Point 2010 offered by many institutes through classroom and online with your comfort of learning, and get the real world examples of Share Point projects.